← Loss of Use: Is the At-Fault Driver’s Insurer Required to Provide a “Comparable” Rental Vehicle? By Greg Johnson. This article addresses the indirect auto lending process (a/k/a “dealer arranged financing”). While the article relies heavily on cases I have defended for dealerships here in Minnesota, the same process is involved across the nation. In Minnesota, an automobile dealership is a “retail seller” as defined by the Motor Vehicle Retail Installment Sales Act (“MVRISA”), Minn. Stat. §53C.01, subd. 10 (defined to mean “a person who sells or agrees to sell a motor vehicle under a retail installment contract to a retail buyer). With the exception of so-called “buy-here, pay-here” used car lots, dealerships do not extend credit to customers for the purchase of motor vehicles as dealerships are not licensed to act as sales finance companies. See Minn. Stat. §53C.01, subd. 12 (defining “sales finance company” to include “a person engaged, in whole or in part, in the business of purchasing retail installment contracts in this state from one or more retail sellers”); Minn. Stat. §53C.02(a) (providing that “[n]o person shall engage in the business of a sales finance company in this state without a license therefor”). The same prohibition exists in most jurisdictions. See e.g., Mass. Gen. Law Ch. 255B §2 (dealership which sells vehicles under retail installment contracts and holds the contract must obtain a “motor vehicle sales finance company” license). Rather, if a dealership customer needs financing to pay for the purchase of a motor vehicle and the customer does not get financing through his or her own bank, credit union or other financial institution (a process called “direct auto lending”), the dealership will attempt to arrange financing for the customer’s vehicle purchase through a financial institution (a/k/a indirect auto lending) with whom it has a business relationship. Most states specifically authorized indirect auto lending back in the 1950’s when state retail installment sales legislation was passed. See e.g., Minn. Stat. §53C.08, subd. 4 (“[a]ny sales finance company hereunder may purchase or acquire from any retail seller any retail installment contract on such terms and conditions as may be mutually agreed upon between them”). The dealership will typically prepare a vehicle purchase contract detailing the agreed upon terms for the purchase of the vehicle (including the price of the vehicle, taxes and fees associated with the purchase, trade-in value and downpayment and the balance due (or to be financed)) and a retail installment sales contract” (“RISC”) setting forth the agreed upon credit terms and information required to be disclosed by the federal Truth in Lending Act (“TILA”), 15 U.S.C. §1638 and MVRISA, Minn. Stat. § 53.08. See also, Scott v. Forest Lake Chrysler-Plymouth-Dodge, 611 N.W.2d 346, 352 (Minn. 2000) (describing the indirect auto lending process and the difference between a vehicle purchase contract which “sets forth the terms of the actual purchase, including trade-in allowances and identifies the amount to be financed, if any” and a retail installment sales contract, which “sets forth the details of how the financing is to work — the interest rate, the finance charge, amount financed, total payment and total sales price”); Madrigal v. Kline Oldsmobile, Inc., 423 F.3d 819 (8th Cir. 2005) (involving the dealer-arranged financing process); Liabo v. Wayzata Nissan, LLC, 707 N.W.2d 715 (Minn. Ct. App. 2006), rev. denied (Minn. March 28, 2006) (same); Kinzel v. Southview Chevrolet Co., 892 F. Supp. 1211 (D. Minn. 1995) (same). In an indirect auto lending transaction, the dealership will typically collect very basic credit-related information from the customer (e.g., customer’s name, address, employment, income and social security number, etc.). This basic credit information along with the credit terms sought (e.g., amount financed, repayment terms, etc.) 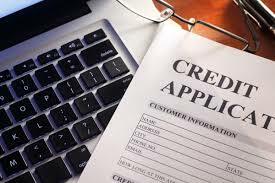 is often called the “credit application.” A decade ago, the credit application would be transmitted to each financial institution via fax, a cumbersome and sometimes lengthy process. Today, most dealerships subscribe to automated on-line systems and the credit application can be submitted to several financial institutions simultaneously. See Consumer Financial & Protection Bureau, Bulletin 2013-02: Indirect Auto Lending and Compliance with the Equal Credit Opportunity Act, at p. 1 (March 21, 2013) (noting that in “indirect auto financing, the dealer usually collects basic information regarding the applicant and uses an automated system to forward that information to several prospective indirect auto lenders”). Upon receiving the credit application, the financial institutions evaluate the information and typically access and review the customer’s consumer credit report to decide whether to extend credit to the customer for the purchase of the vehicle. See also, Stergiopoulos and Castro v. First Midwest Bancorp, Inc., 427 F.3d 1043, 1044 (7th Cir.2005) (“[d]ealers routinely attempt to assign tentative financing arrangements to lenders, and those lenders often rely on a consumer’s credit report to determine whether the deal is worth taking”). This process is often fully automated, such that the financial institution can provide its credit response to the dealership within minutes of the latter’s submission of the customer’s credit application. See, Federal Trade Commission, Understanding Vehicle Financing (the “potential assignees evaluate [the customer’s] credit application using automated techniques like credit scoring, where factors like [the customers’] credit history, length of employment, income, and expenses may be weighted and scored”). After analyzing the data, “each potential assignee decides whether it is willing to buy the [retail installment] contract [and] notifies the dealership of its decision …” on the credit application. Id. If the dealership is unable to arrange an extension of credit through a financial institution (i.e., all potential assignee financial institutions decline to extend credit to the customer for the purchase of the vehicle on terms the customer has agreed to) and the dealership cannot or does not agree to hold the installment paper, the customer is generally not obligated to continue with the transaction, even if the customer has taken delivery of the vehicle. This is usually made clear in one or more documents such as a conditional delivery agreement (a/k/a “spot delivery” or “bailment” or “financing addendum” agreement) – an agreement which allows the consumer to take immediate (“on the spot”) delivery of the vehicle subject to financing approval by a financial institution. See e.g., Scott, 611 N.W.2d at 352 (Minn. 2000) (noting that a “retail installment contract … becomes effective only if financing is arranged” and a “conditional delivery agreement permits the buyer to take immediate possession of the vehicle, but the buyer is obligated to return it if financing is not approved”); Liabo v. Wayzata Nissan, LLC, 707 N.W.2d 715, 724, 727 (Minn. Ct. App. 2006) (noting that “[g]enerally, a retail installment contract comes into being only after financing is approved”); Madrigal v. Kline Oldsmobile, Inc., 423 F.3d 819, 820 (8th Cir. 2005) (conditional delivery agreement “expressly conditioned the sale of the [vehicle] upon Bank One or another financial institution accepting the assignment” of the retail installment contract); Sharlow v. Wally McCarthy Pontiac-GMC Trucks-Hyundai, Inc., 221 F.3d 1343, 1344 (8th Cir. 2000) (interpreting financing addendum which provided: “[i]n the event that the seller/dealer fails to arrange the subject financing and assign all of its interest … to a lending institution … the vehicle purchase contract and retail installment contract shall become null and void”); Vang v. Morrie’s Minnetonka Ford, 2001 WL 1589614 at *1 (D. Minn. Dec. 11, 2001) (involving conditional delivery agreement which provided in part: “YOU understand and agree that the vehicle has been delivered to YOU conditionally subject to approval of financing … If financing is not approved, any installment sales contract executed for purchase of the above-described vehicle shall be null and void”). Thus, if the dealership is unable to arrange an extension of credit through any financial institution, the customer has the option of agreeing to different credit terms on the vehicle, purchasing a less expensive vehicle or simply walking away. In the past, consumers and their attorneys have occasionally alleged that “spot delivery” agreements somehow violated the law. However, most courts have recognized that “the fact that the borrower is not bound to the contract unless the agreed upon terms can be obtained from a third-party lender appears to serve the interests of the consumer.” Vang v. Morrie’s Minnetonka Ford, 2001 WL 1589614, at *4 (D. Minn. Dec. 11, 2001). “The fact that a borrower may be disappointed that credit terms cannot be obtained is unfortunate but does not constitute evidence of a TILA violation.” Id. If the dealership is successful in arranging an extension of credit for the purchase of the vehicle, the dealership will assign the RISC to the financial institution. See, Federal Trade Commission, Understanding Vehicle Financing (“[t]he dealer … typically sells [the retail installment contract] to a bank, finance company or credit union — called an assignee — that services the account and collects [the customer’s] payments”). 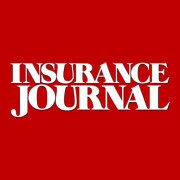 Under Minnesota law, the assignee financial institution may buy the RISC on any terms mutually agreed upon between the financial institution and dealership. See, Minn. Stat. §53C.08, subd. 4 (finance company “may purchase or acquire from any retail seller any retail installment contract on such terms and conditions as may be mutually agreed upon between them”). It is important to recognize that although the dealership does not actually extend credit to the customer in an indirect auto lending transaction, since 1982 the federal Truth in Lending Act (“TILA”), 15 U.S.C. § 1601 et seq., has required the dealership to be identified as the “creditor” on the RISC because the dealership is “the person to whom the debt arising from the consumer credit transaction is initially payable on the face of the evidence of indebtedness.” 15 U.S.C. § 1602(f). In this fashion, it is the dealership, rather than the financial institution, which must give TIL disclosures to the customer prior to consummation of the credit sale. See Kinzel, 892 F. Supp. at 1216 (“only the automobile dealership [is] the TILA ‘creditor’ in dealer-originated credit sale transactions that are assigned to banks); Stevens v. Brookdale Dodge, Inc., 2002 WL 31941158 at*2 (D. Minn. Dec. 27, 2002) (“TILA requires creditors to disclose certain credit terms to consumers”); Vang v. Morrie’s Minnetonka Ford, 2001 WL 1589614 (D. Minn. Dec. 11, 2001) (same); Peter v. Village Imports Co., 2001 WL 1640130 (D. Minn. Oct. 9, 2001) (same); Evans v. Rudy-Luther Toyota, Inc., 39 F. Supp. 2d 1177, 1181 (D. Minn. 1999) (“[t]he TILA provides a Federal cause of action by borrowers against creditors who fail to make the disclosures required by its provisions”). The financial institution that purchases the RISC and actually extends credit to the customer for the purchase of the vehicle is described as the “assignee.” 15 U.S.C. §1641(a). An assignee is not liable to the customer for any TIL violations unless they are “apparent on the face” of the TIL disclosure statement. Id. “Apparently Congress did not wish to impose liability for damages and attorney’s fees on an assignee who was not responsible for and who had no notice of TILA disclosure violations at the time of the assignment.” Brodo v. Bankers Trust Co., 847 F.Supp. 353, 359 (E.D.Pa.1994). The process described above has been in place for several decades and provides several benefits to consumers. First, it is more convenient than direct auto lending as dealerships have extended business hours and the consumer can buy a vehicle and get financing at one place. Second, the dealership typically has business relationships with many financial institutions and can send the customer’s credit application to several financial institutions at the same time, saving time and expense. Third, the dealerships may be able to offer special manufacturer-sponsored, low-rate or incentive programs to qualified buyers. Finally, the dealership may be willing to deliver the vehicle prior to financing approval. This entry was posted in Auto Dealer, Indirect Financing, Regulatory Compliance, TIL Disclosures, Truth in Lending Act and tagged Auto Dealers Operations, Auto Dealerships, Regulatory Compliance. Bookmark the permalink.